My three-year-old daughter, Hope, LOVES Legos. A friend got her a Lego kit for Christmas and she and my husband did it in one fell swoop. I’m honestly not sure who had more fun: her or my husband. Because of Hope’s interest in Legos, I was excited to review the Brick Builders Illustrated Bible (published by Zonderkidz). To be clear, the Brick Builders Illustrated Bible features Lego-like characters BUT not actual Legos, which may or may not matter to your kid. It didn’t matter to mine, who was captivated by the pictures in this Bible. Because of Hope’s interest in the pictures, this was a Bible she wanted to read, something I also very much appreciated. Its stories are also short and easily digestible, making the Brick Builders Illustrated Bible a good option even for toddlers. There are, however, three things I didn’t love about the Brick Builders Illustrated Bible. First, its scope is rather narrow. It contains only 15 stories from the Old Testament, five of which are from Genesis. It contains another 21 from the New Testament, all but one of which are focused on Jesus (which is good, but it also means that very little of the New Testament is actually covered). Second, I hated the Building Blocks sections which were designed, I think, to help children understand a “nugget” from each lesson. Despite what I'm sure was a good intention, they felt extraordinarily repetitive and trivial. Third, I cringed at some of the liberties taken by the writer of the Brick Builders Illustrated Bible. For example, in the story of Fishing for People (based on Luke 5:1-11), Peter falls to his knees and says, “I am a sinner. 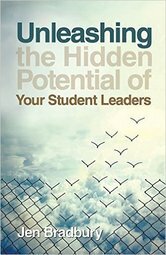 I do not deserve to be with you” before then leaving everything behind to follow Jesus. Those in the mainline traditions may struggle with the addition of something so closely resembling the sinner’s prayer. Even so, if you can overlook these things, the Brick Builders Illustrated Bible will certainly engage young children, especially those who enjoy Legos. 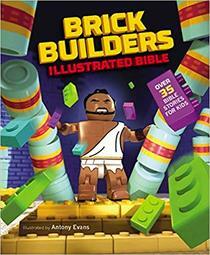 I am excited to give away a copy of the Brick Builders Illustrated Bible to one lucky winner. To enter, leave a comment before Jan. 1 sharing one reason you'd love to have a copy of the Brick Builders Illustrated Bible. One winner will be chosen at random on Jan. 1. Disclosure: I received a free copy of the Brick Builders Illustrated Bible from the Blog about Blogger Network in exchange for a fair and honest review.